Axel angry at Roxas. . HD Wallpaper and background images in the kingdom hearts club tagged: kingdom hearts kh axel fire roxas. Woah! It IS Sora in the background! Never would have saw that! 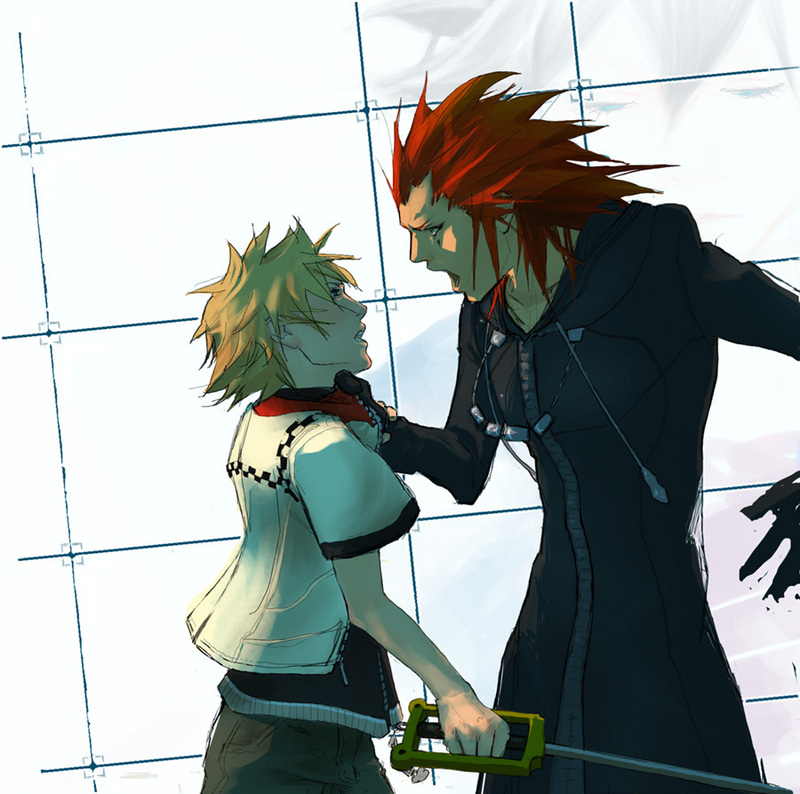 woa axel is gonna KiLL roxas! !